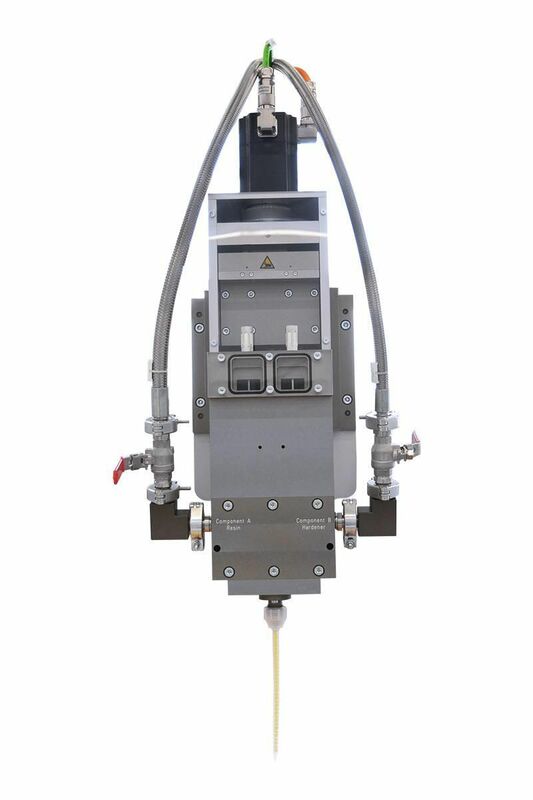 The Dos P016 / 050 / 100 / 300 / TCA piston dispensers are high-precision volumetric dispensers designed to process 1C and 2C materials and cover a wide range of applications. Precisely dimensioned dispensing cylinders provide the ability to obtain reproducible material volumes. When 2C materials are used, the mixing ratio is kept constant by simultaneously discharging both cylinders into the shared mixing tube, ensuring the highest level of process reliability. 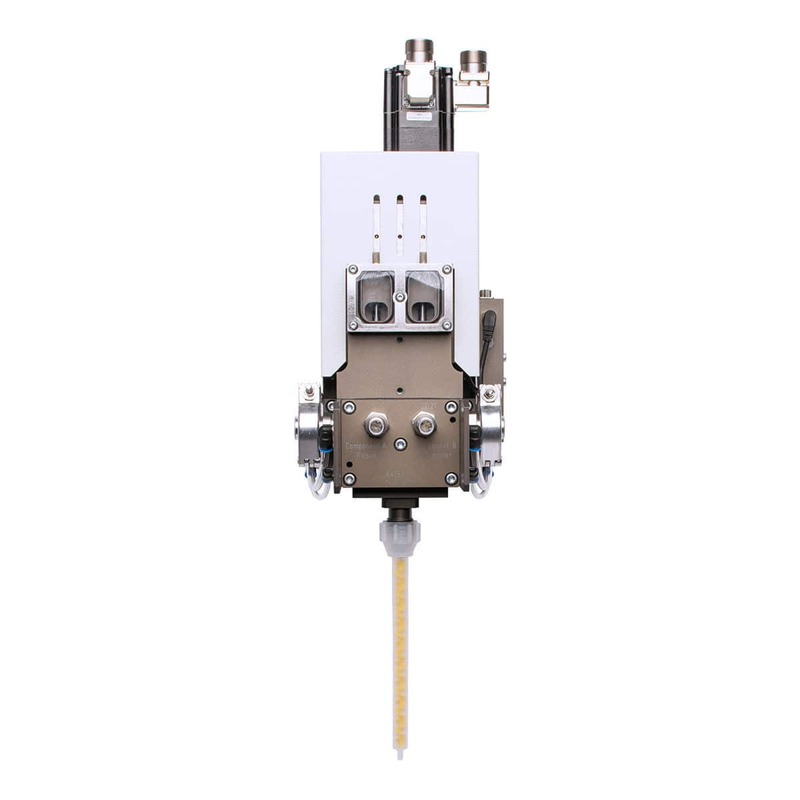 At the same time, potting media that are sensitive to pressure, moisture or shearing are fed carefully through the dispenser, eliminating potential worry of changes to the material. Users also benefit from their fast and easy maintenance, long service life and significantly reduced servicing costs. Thanks to optional features such as valve monitoring, mixing tube heating and dispenser heating, these systems can be adapted flexibly to any requirement. 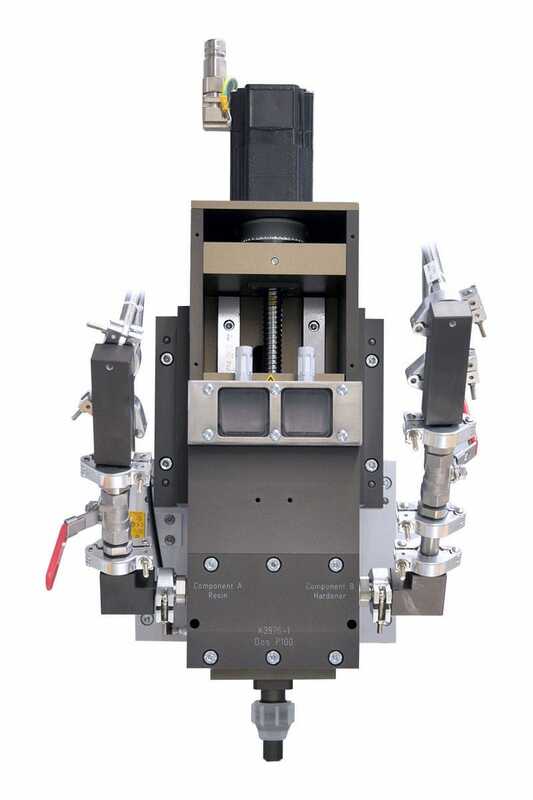 The Dos P016 TCA piston dispenser (TCA = thermally conductive adhesives) was developed specifically for the reliable application of highly-filled thermoconductive materials. 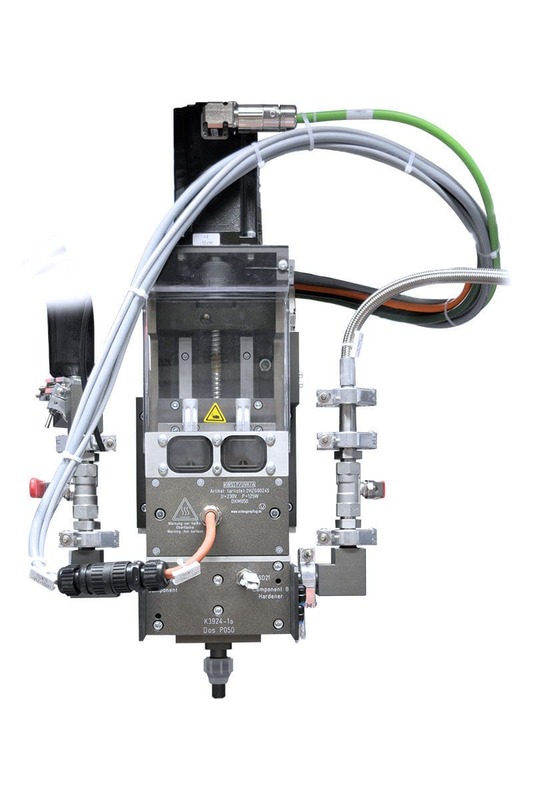 The Dos P016 TCA can dispense up to three times faster and with consistently higher application accuracy than the standard Dos P model.